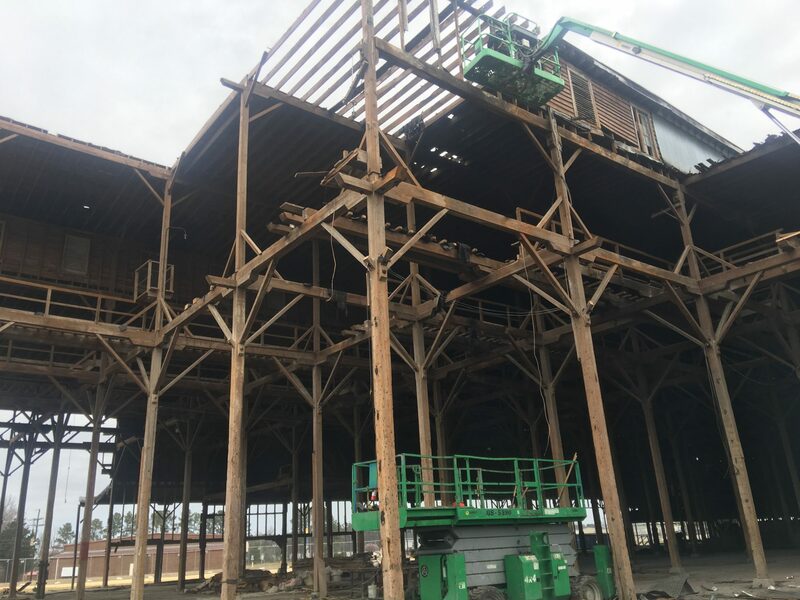 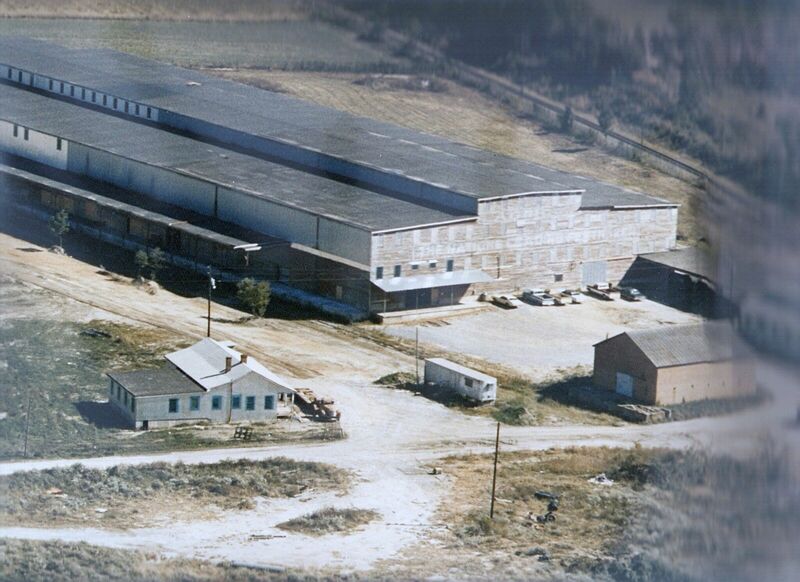 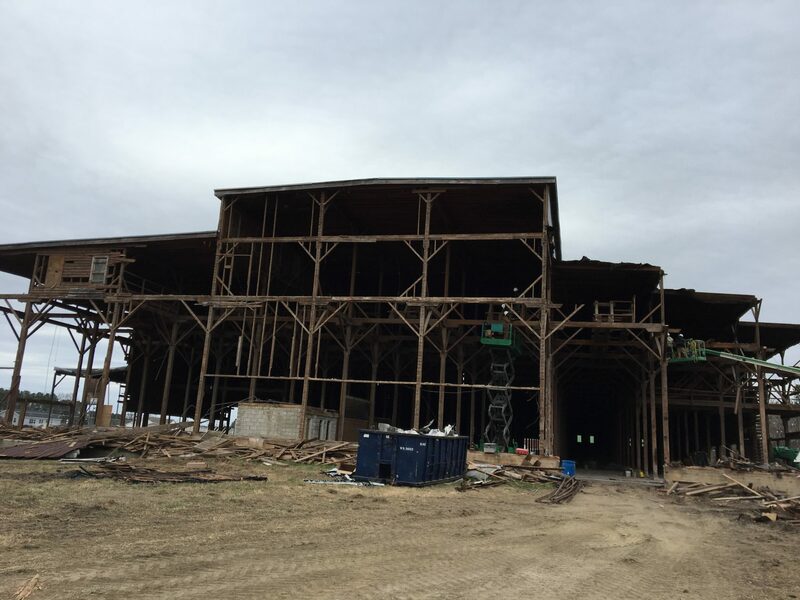 Built at the turn of the century using only men and mules, this 100,000 square foot building is the most uniquely constructed project we have ever worked on. 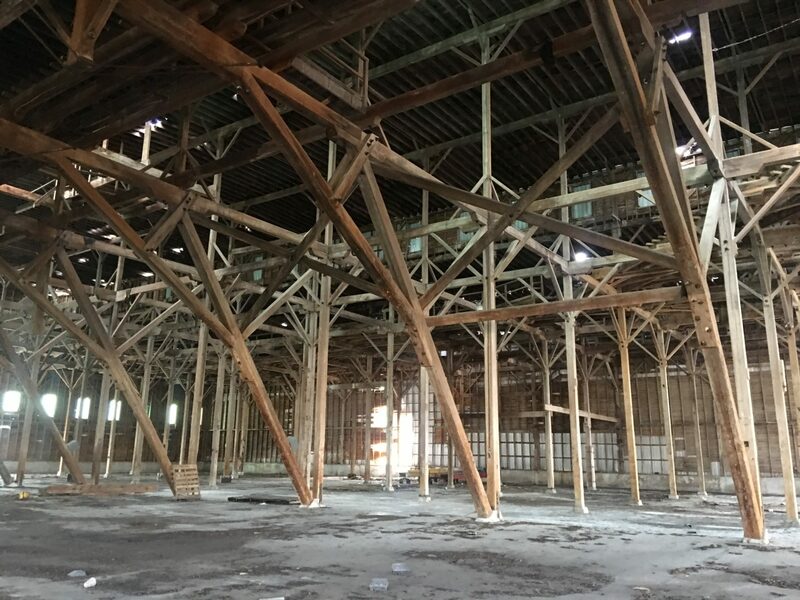 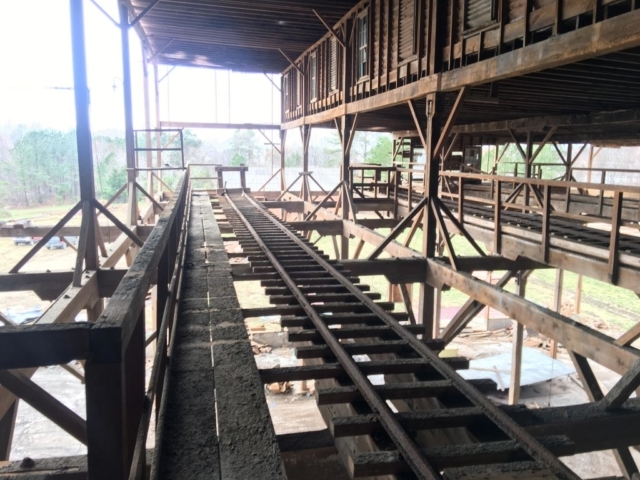 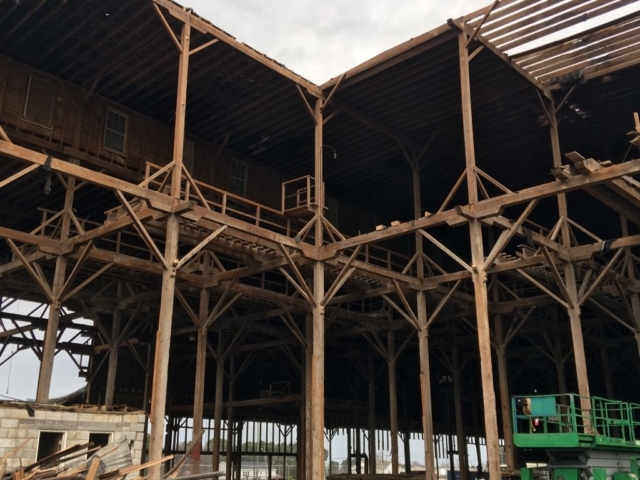 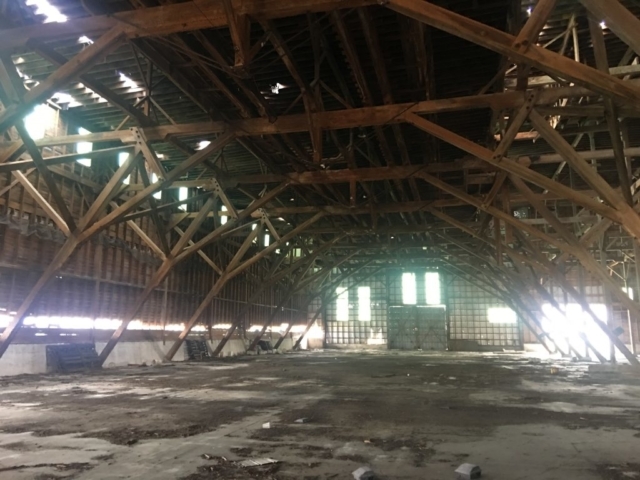 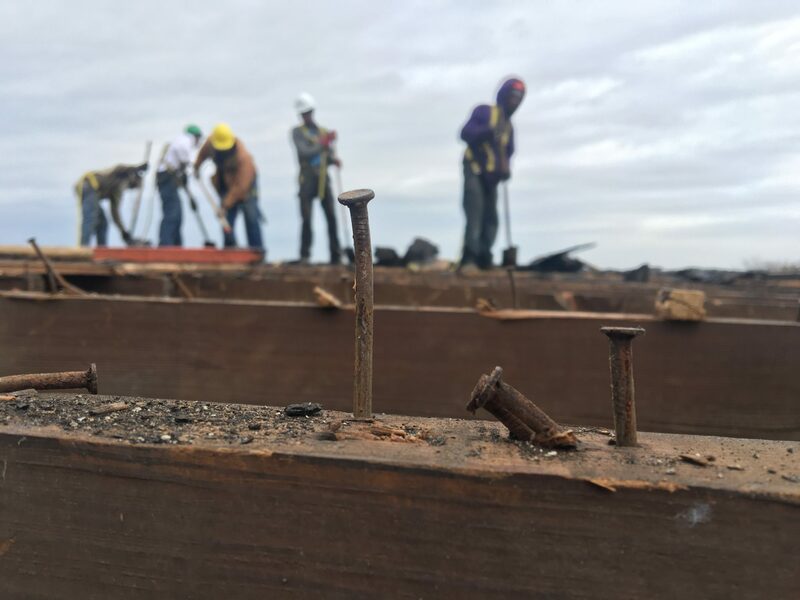 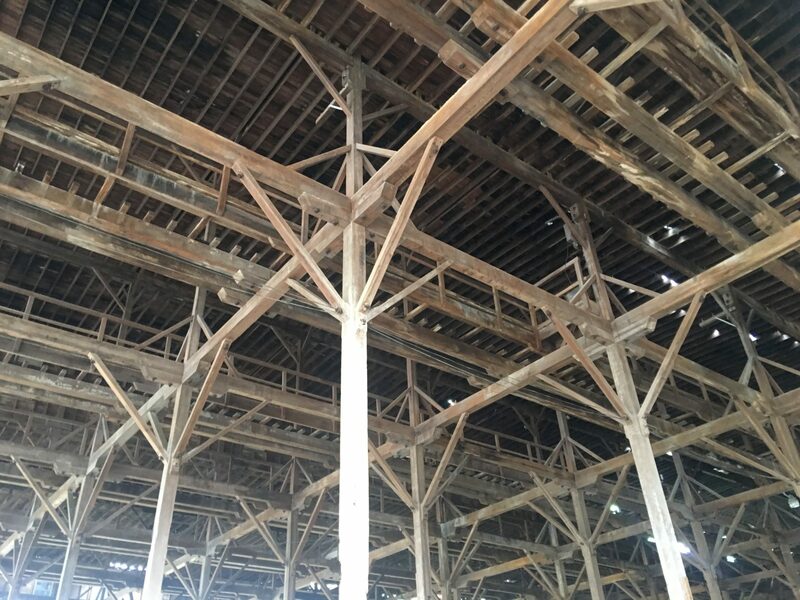 After being closed for decades and beginning to collapse, Southend Reclaimed stepped in to salvage over 200,000 board feet of Heart Pine from this site. 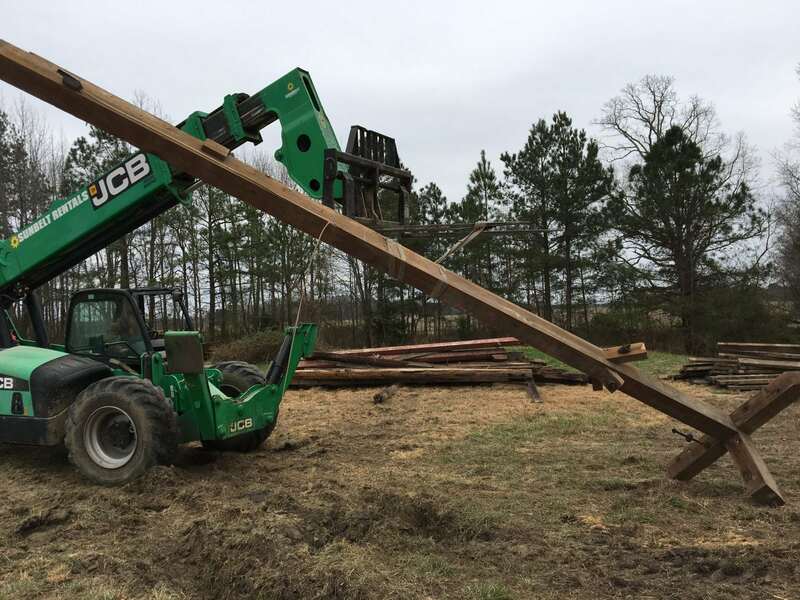 For more information about Ellingtons Farm Center or the available inventory, call us at 704-765-9773 or contact us here.